Different from its' predecessor, "Insurgent" is faster and more action-packed. "The Divergent Series" has always been compared to the likes of "Hunger Games" and "Harry Potter". While the concept is a bit alike, the story got its' own backbone. Continuing "Divergent", "Insurgent" isn't really like its' predecessor. It's faster and more action-packed than ever, filled with thrilling chases and inventive visuals. 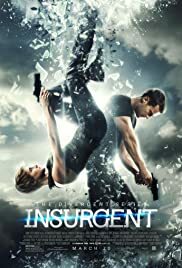 "Insurgent" follows Tris (Shailene Woodley), Four (Theo James), and the others on the run from Jeanine Matthews (Kate Winslet) who is hunting divergents (you'll need to see the first one to know more). There's a plot includes a mystery box that only divergents could open it, through simulations. Doubting it would be good, it turns out to be better than expected. Not only the pace is faster, the stakes are higher and it creates a darker tone. The actors were as fine as the first part. It is the change of director that marked an improvement from the last one. Robert Shwenke gives more tension to the audience with enough visuals that could make your heart pound. Not saying the movie doesn't have any flaws. There's a bit of problem with the script which is either the movie's strength and weakness. Some scenes are not very well executed. But, that doesn't really matter to the experience as a whole. 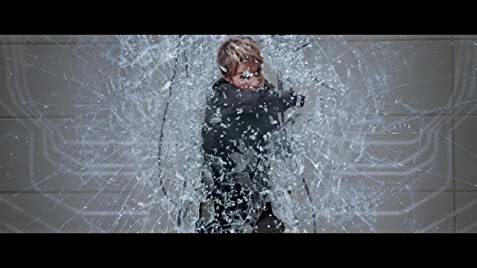 Thankfully, the action scenes overcome its' flaws. If you love "Divergent", there's no doubt you're going to love this. Overall, a satisfying experience. 26 of 56 people found this review helpful. Was this review helpful to you?